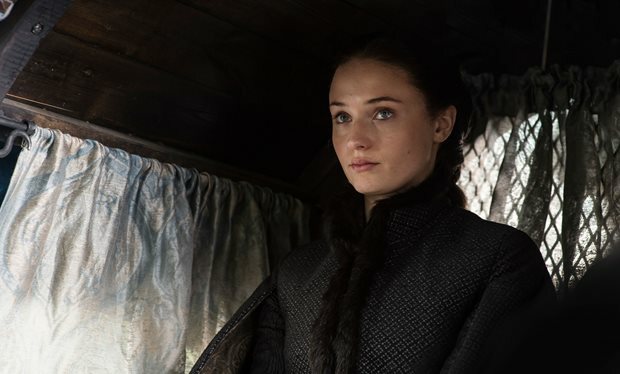 Quick Answer: On the fifth season of Game of Thrones, Sansa Stark's storyline took a compelling turn. Fans of George R.R. Martin's books, however, will recognize that it is originally Jayne Poole, not Sansa, who marries Ramsay. While this may seem like a huge change for devoted readers, if Ramsay had married Poole, a character we haven’t seen since Season 1 and aren't emotionally invested in, the event wouldn’t have had the same effect for viewers. The alteration opens up possibilities for future storylines and character development. It makes Ramsay seem more repulsive, sets up an interesting relationship between Theon and Sansa, and puts Sansa - one of the show's strongest characters - in the spotlight. 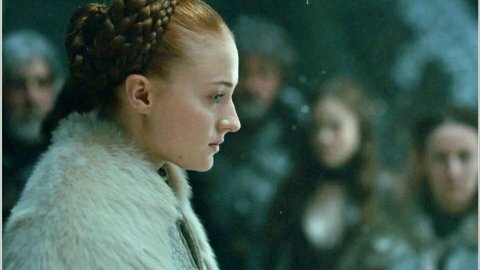 Sansa Stark (Sophie Turner) has gone from one of the most hated characters on Game of Thrones (2011 - ) to one of the most beloved. I’ve always found Sansa to be one of the strongest, most intelligent characters on the show. She’s a Stark who’s wanted for murdering the King, she has escaped the clutches of two husbands, and she's survived too many brutalities to count. It’s no accident that Sansa is still alive. And while David Benioff and Dan Weiss kept fairly true to Sansa’s story through the first four seasons, things took a very different turn in Season 5. And I think it’s for the better. Fans of George R. R. Martin’s A Song of Ice and Fire will know that the fourth book in the series, A Feast For Crows, and the fifth, A Dance With Dragons, are actually one novel split into two. As such, most of the characters only appear in either the fourth book or the fifth. Sansa’s storyline takes place in A Feast For Crows. Had the writers remained faithful to Martin's books, we wouldn't have seen much of Sansa in Season 5. But fans felt she deserved a bigger role in Season 5, and the writers certainly delivered. While the Game of Thrones writers decided to expand Sansa's role, it was to the detriment of another character. In the book, it isn’t Sansa that is married to Ramsay, but Jeyne Poole, a childhood friend of Sansa’s. In the show, Poole is more of a background character, and after Season 1 her character fizzled out. But to reveal the wicked and loathsome character of Ramsay, his marriage to Poole is an essential part of Martin's books. Still, if Ramsay had married Poole on the show, a character we haven’t seen since Season 1 and therefore aren't emotionally invested in, the event wouldn’t have had the same effect for viewers. While Martin took care to develop Poole's character in the books, her sudden return to the show would have felt random and impractical. By changing Sansa’s storyline, the writers killed two birds with one stone; they kept the plot points necessary for the relationship between Theon and Ramsay while making Sansa a present and loved character in Season 5. Sansa's revised plotline also results in a complex, intriguing relationship between her and Theon. Although their intial interactions are colored by shame and hatred, escaping the man who made both of their lives horrible will bring them closer together. Normally such a big alteration from the source material to the show would be upsetting to viewers. In this instance, however, the change was an intelligent update that worked well for the story and was pleasantly received by fans. 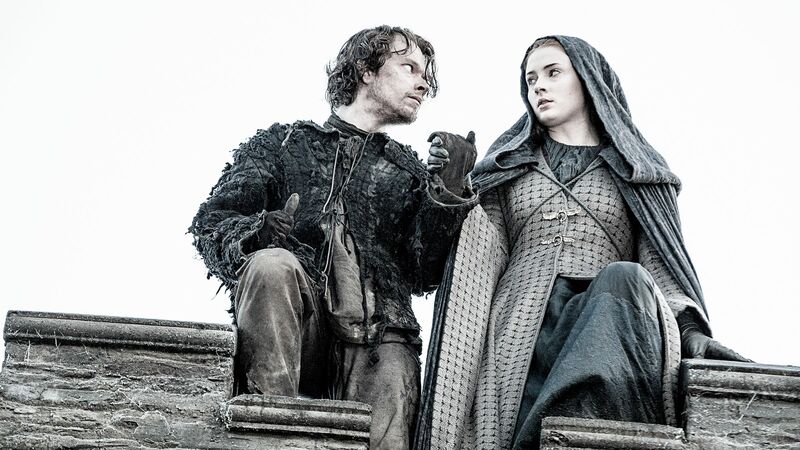 Whatever happens, we are excited to see what's in store for Sansa Stark and Theon Greyjoy in Season 6.